Anyway, our Executive Director, Jay Jacobs, introduced Henry Winkler and shared with the audience many of Mr. Winkler’s accomplishments which includes being a veteran of the Broadway stage, being a Golden Globe recipient and he also participates on several boards for youth-related charities. Henry Winkler is also the author of a series of children’s novels entitled “Hank Zipzer”, a character with learning disabilities. His books are full of humor and they all offer great messages to children about the struggles of children with learning disabilities. 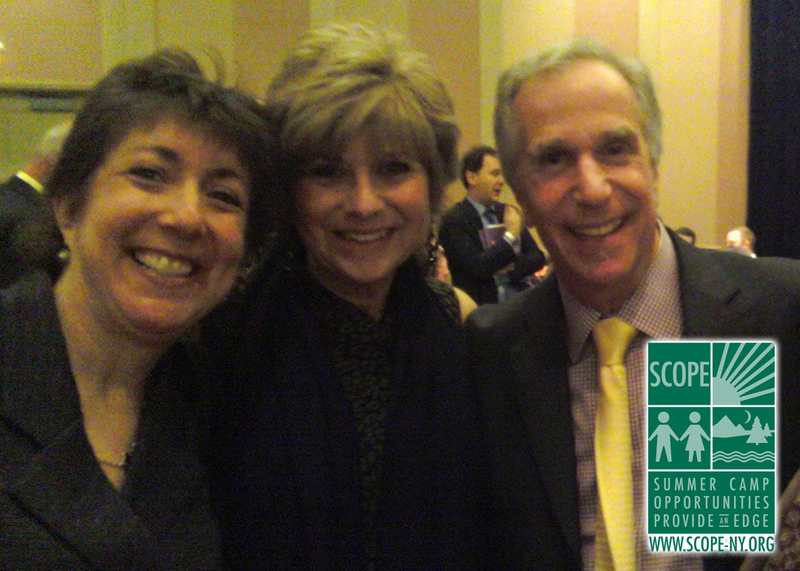 But getting back to “The Fonz” – WOW – He was so nice!!! He even posed for a photo with me AND autographed a book for my daughter. (Although if truth be told, my daughter didn’t really know who he was…) BUT, she did enjoy seeing how happy I was having my picture taken with one of my all-time favorite television characters! Yes, Happy Days are here again!